Potter County, PA - "God's Country"
Potter County, Pennsylvania (often referred to as "God&apos;s Country") is home to over a million acres of wilderness, including eight state parks and a vast majority of county designated as state forest and game land. Potter County is especially known for having the darkest skies and brightest stars in the eastern United States. Potter County is not short on big ideas and thinking creatively. When the time came for a web refresh, they were ready to go, resulting in a gorgeous website commemorating its destination. 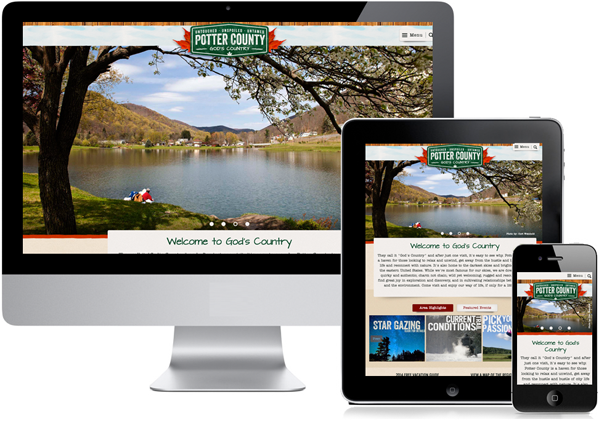 First and foremost, the design for VisitPotterCounty.com is responsive, optimized across various devices including tablets and mobile phones. 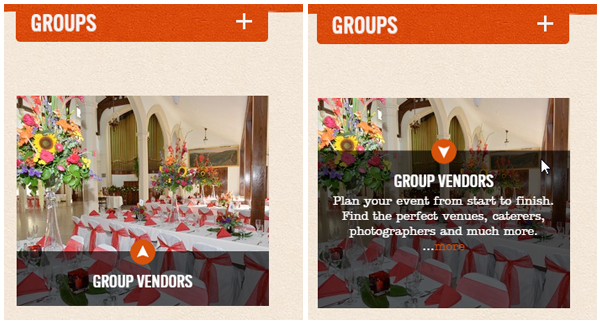 Check them out on your own personal devices! The new Highlights widget allows the CMS user to create windows into other sections. This can also be used to create category highlights to be utilized in deeper areas of the website, or during different seasons. A similar feature, the Image Box tool takes the above windows even further, gliding transparencies over the image with aesthetic descriptions. As always, the new layout for listings displays various information events for its members, including details, events, amenities and Google Maps integration. 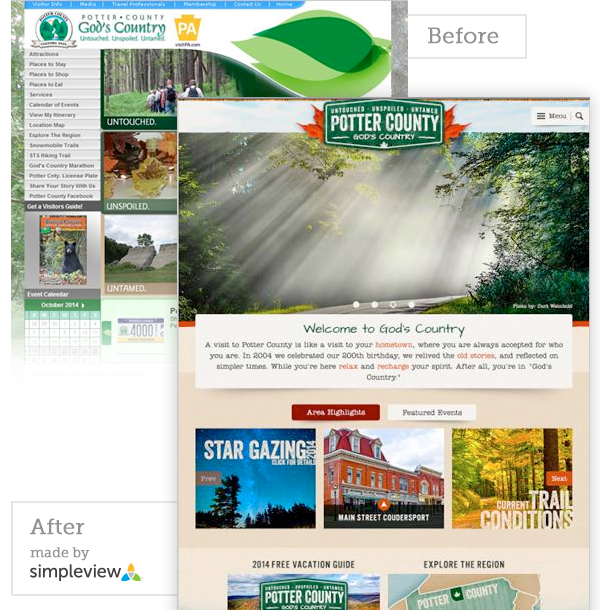 Potter County has been a Simpleview client for over 10 years, and it has been a true privilege working with Executive Director David Brooks and his team. "I just wanted to take a moment to thank all of you for your efforts, the time, creativity and overall spot-on diligence through this entire process," Brooks noted. "I know this will change our lives, both personally and professionally, and do wonders for our tourism economy here in Potter County." 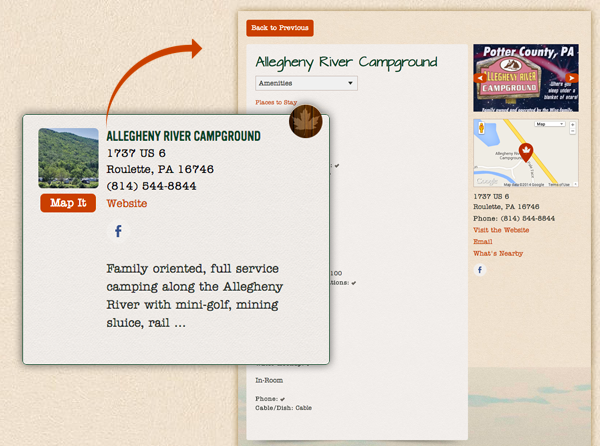 These are just a handful of the new features at Potter County&apos;s new website. 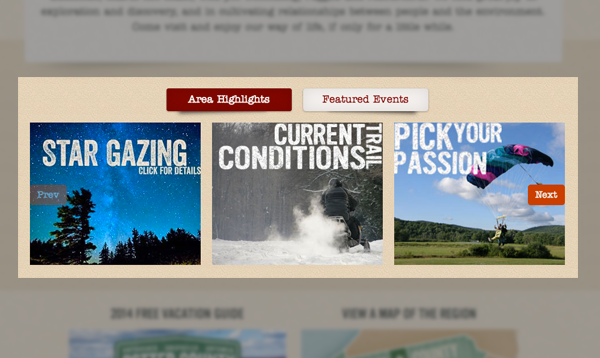 Take the time to check them all out, and experience the untouched, unspoiled and untamed!